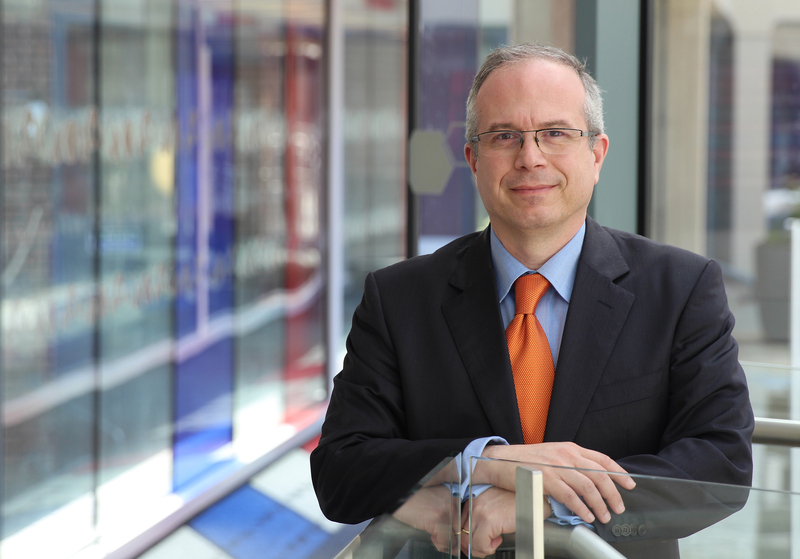 Academics, policymakers and business leaders from across the UK are set to gather in Sheffield tomorrow 13 March 2019 to tackle one of the UK’s most pressing economic challenges: how to raise productivity. They will gather in Sheffield for a conference titled ‘Changing the Tone of the Debate’. The conference is organised by the Productivity Insights Network at the Sheffield University Management School. The event will take place in the University’s historic Firth Hall building and will hosted by Lord Jim O’Neill. Prominent figures including Sir Paul Collier, Professor Jennifer Rubin, and Mr Murray Sherwin will deliver keynote addresses looking at how to address productivity discrepancies across Britain, how productivity varies in practice, and how research can help solve this productivity puzzle. The University of Sheffield will host a competition for a project set up to develop academic, employability, and active citizenship skills in young people. The Speak Out Initiative, run by Dr Andreana Drencheva from the Sheffield University Management School, works with young people under-represented in higher education to enhance their academic and career aspirations. The initiative is run in partnership with local businesses Irwin Mitchell, Jaywing, BHP and Andy Hanselman consulting. This year’s participating schools are Meadowhead, Chaucer and Sheffield Park Academy. For six weeks groups of young people meet with mentors from the University of Sheffield and businesses to work on a project for social change. The initiative is designed to help develop skills, such as collaborative problem solving, communicating in diverse teams, and decision making. This year’s challenge is tackling loneliness and the teams will have to research the problem in their local community and develop a project that will make a meaningful difference. The final projects will be presented to representatives from the University, businesses, and Age UK at an event on Friday 15 March 2019 at The Edge. The groups must demonstrate the sustainability of the project, why it makes a difference and what resources it would need. The competition day also includes networking and reflection to help the young people identify their strengths, areas for development and the pathways open to them after school. Speak Out has been running since 2016, and evaluation from prior years shows that 93 per cent of the young people considered the initiative was helpful in developing team-working skills and 94 per cent found it useful for developing communications skills. The teams of young people will present their ideas for social change at the University of Sheffield as part of the final competition on 15 March 2019. Can a holiday make you a better parent, or more creative? Luxury hospitality consumers aren’t satisfied with a great view – they want a substantive change borne out of amazing experiences, suggests Dr Navdeep Athwal. Luxury consumption has shifted away from goods and towards experiences, so how can the premium hospitality market capitalise on this? Navdeep’s white paper, co-authored with digital agency Verb Brands, argues that the key to growth is brands getting their digital and marketing strategies right. Social media and luxury travel goes hand in hand – customers are generally tech-savvy and self-sufficient deeming the high street travel agent redundant. They favour mobile apps over web browsers so are likely to interact with a provider from a hand-held device at one point in the process, leading brands to address their digital and social media approaches in order to remain competitive. A brand’s social media must showcase the aspirational experience while also demonstrating customer care and relationship management. User-generated, story-based content trumps traditional advertising so many brands employ online ‘influencers’ to contribute to visual platforms like Instagram. While they can be effective, Navdeep suggests brands introduce a comprehensive vetting process prior to appointment, as well as exploring people without an online presence who have “priceless Rolodexes” for accessing high-earning, hard-to-reach spenders. An ‘Instagrammable’ destination has become a primary influencing factor for millennials choosing their holidays, and with 25-34 year olds spending much of their disposable income on travel, this paper highlights the importance of brands understanding how to deploy digital to best meet market requirements. 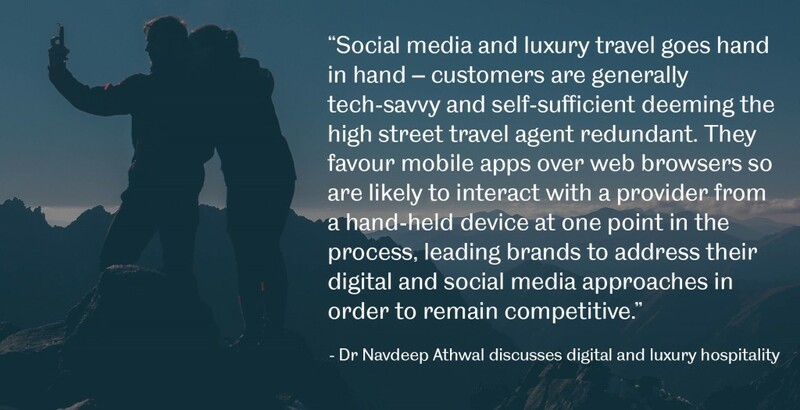 Navdeep indicates that AI is the future of customer engagement – meanwhile Airbnb is adapting its sharing economy model to meet the expectations of luxury travellers. The landscape is changing, and quickly. In this paper, Navdeep also identifies successful strategies for businesses based on offline consumer behaviour. Luxury consumers are pursuing experiences over possessions – “a better me” is the product and key themes are wellness, personalisation and dining. Click here to read the full report (‘The Evolving Luxury Hospitality Market – what’s the key to its growth?’). Hannah McLennaghan, a recent graduate of our BA Business Management with Employment Experience, discusses her experience on our Rolls-Royce sponsored module. First published on our Undergraduate Blog. 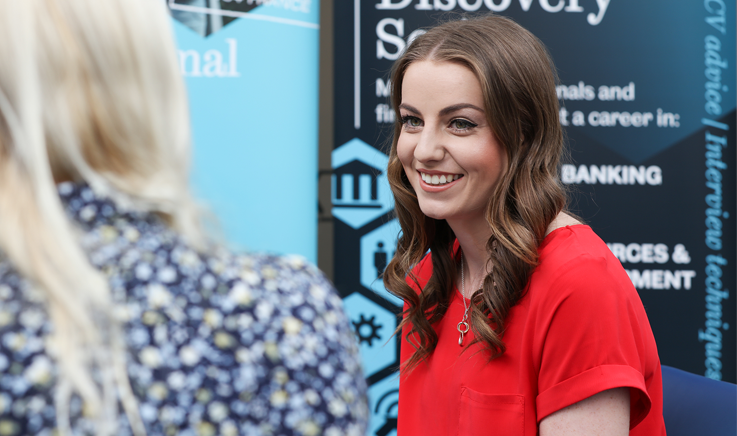 “I’ve been looking back over everything I have learnt across my degree and all my best bits. For me, my most challenging yet rewarding module was my second-year Supply Chain Management module. This was a core module at the time and made up of a group project and a written exam at the end of the semester. The most amazing thing about this module was that it was sponsored by Rolls Royce! 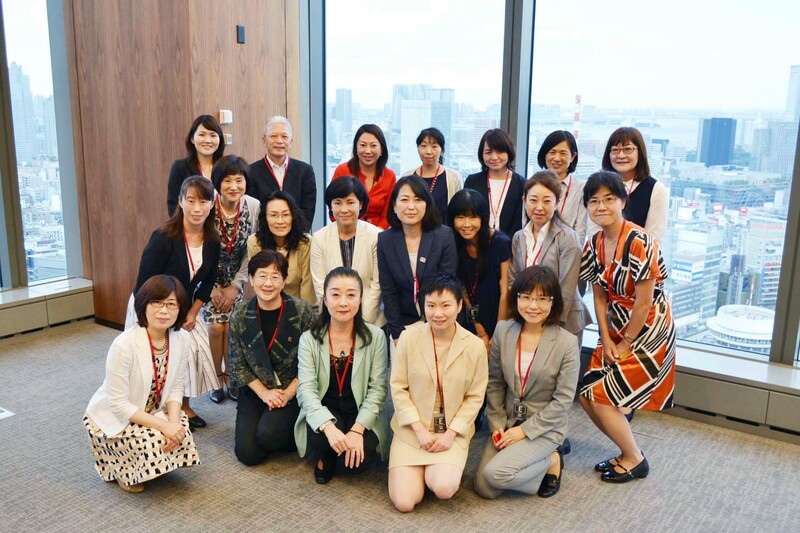 This meant that senior industry professionals from the company were involved in the creation/ structure of the module content and the assessment. The group project was our way of applying the theories we had learnt throughout the module, to a real life business. “Our task was simple; generate a 10-year operations and supply chain plan for one of 4 companies in the aviation industry; Rolls-Royce, Pratt and Whitney, Airbus or Boeing. My group chose Pratt and Whitney, a major competitor of Rolls-Royce. Each group member was given a director role within the company: Director of Operational Design, Planning and Control, Enterprise Resource Planning, Manufacturing Operations, Supply Chain Management and my role which was Director of Quality Control and Total Quality Management. Working collaboratively, we analysed the company’s current situation and how the market was operating. Using the theories, we had developed during the lectures, some of which were given by Rolls-Royce executives, we applied it to Pratt and Whitney to generate a plan for their future operations. Although this may sound complicated, it was incredible to take on a task that felt so real! It was also the kind of thing I’ll have to do when I graduate and work for a real company so it was really great practice. “Our plan was assessed through a written report, and a formal presentation to the module leaders from the University of Sheffield, and senior executives from Rolls-Royce. This was the starting point for me developing my presentation creation and delivery skills which I am now extremely confident in thanks to all the chances I have had to practice during my degree. My group’s hard work finally paid off when we were awarded second place for our 10 year plan out of the entire module! This meant we were presented with the Rolls-Royce Academic Award of Excellence, something that looks INCREDIBLE on my CV, and I have found that employers just love it in interviews. To have my academic work accredited by senior professionals such as Ian Shellard – Director, Global Physical Logistics, Rolls-Royce, is a great talking point that really makes me stand out. Note: After reviewing the programme in 2016, this is now a third year module which involves company visits and applied case work. Click here to read more about it. Dr Vasilis Theoharakis proves that tech start-up deals don’t always happen in Silicon Valley. As director of the MBA, Vasilis hasn’t only built up an exceptional programme of experiential learning for students – he’s putting the relevant skills and theory into practice. A recent article by leading industry news site TechCrunch covered the sale of text-to-speech start-up Innoetics for whom Vasilis created the advisory board – he also managed part of the negotiation with buyer Samsung. Innoetics’ product is ideally suited for application on intelligent interfaces, such as Samsung’s Bixby which works much like Siri on Apple products, or across other consumer electronic products and voice-powered services. After starting his career in tech at IBM, Vasilis is now involved with a number of start-ups and does have links in Silicon Valley. He is a member of the management team at a prominent venture capitalist fund which provides seed money for the sector and passes his knowledge on to Sheffield’s MBA students who frequently interact with businesses and entrepreneurs through modules or the Career Accelerator Programme and Leadership Dinners. He said: “My experiences with companies like Innoetics ensure that I’m still at the sharp-end of business so our MBAs benefit from a realistic, up-to-date view of entrepreneurship and the start-up eco system. This project-based core module, delivered in the second semester of the MBA, sees students work in groups to create a business plan and pitch it to a team of investors. Each team is mentored throughout by Vasilis, who guides them on selecting an entrepreneurial idea which leads into a comprehensive, fully-researched plan and presentation. 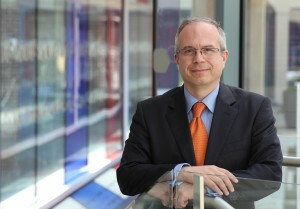 Click here to read more about the Sheffield MBA. Click here for the full TechCrunch article. Prof Lenny Koh, chair in operations management, recently co-hosted an event at the European Parliament, Brussels. Alongside John Procter, MEP for Yorkshire and Humber (European Conservatives and Reformists Group), she brought industry and academia together to showcase the research excellence and impact of the Sheffield-based Advanced Research Efficiency Centre (AREC). Focusing on environmental sustainability, resource production and consumption efficiency, Lenny aimed to maximise the centre’s global outreach and gave an informative introduction to the Supply Chain Environmental Analysis Tool – Intelligence (SCEnATi), part of AREC’s research output. SCEnATi is a tool used by leading organisations to map their supply chain and identify improvement opportunities in terms of economic, environmental and social factors by relying on the tool’s businesses intelligence capability integrated within the hybrid lifecycle analysis methodology. Lenny emphasized the importance of global stakeholder collaboration using the examples of mobile phone manufacturing, use and after-life disposal, and changes to the motor industry. Other panel members also presented their vision for greener supply chains and how researchers and industry can work closer together. They included Prof Panos Ketikidis (International Faculty of the University of Sheffield in Thessaloniki, Greece), Jay Sterling Gregg (European Energy Research Alliance), Philippe Micheaux Naudet (Association of Cities and Regions for Sustainable Resource Management) and Maria Rincon-Lievana (Circular Economy Action Plan). 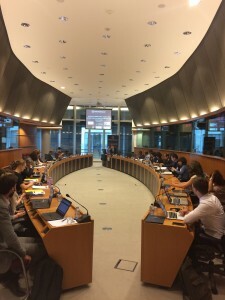 A number of key points emerged from the following discussion, including the importance of interdisciplinary innovation to a greener economy, greening public procurement, investors and innovators collaborating on advancing science, energy storage and security, and the importance of the circular economy. 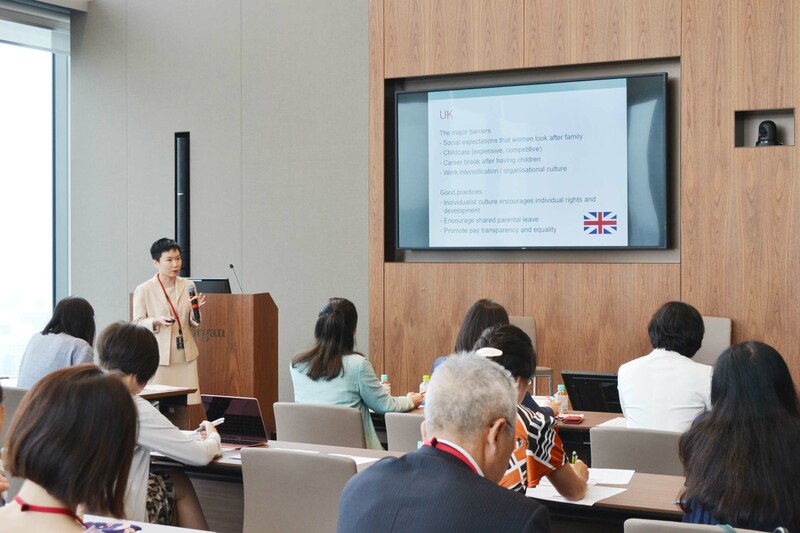 In June, researchers from the University of Sheffield, Melanie Hassett, Marian Jones, Junzhe Ji and Tina McGuinness, along with Karl Warner from Edinburgh Napier University, hosted a sandpit event on the internationalisation of SMEs (small and medium sized enterprises). During the event they engaged in conversations with guests from local SMEs, government support agencies, and other facilitating bodies. ABOVE: Capturing experiential knowledge. 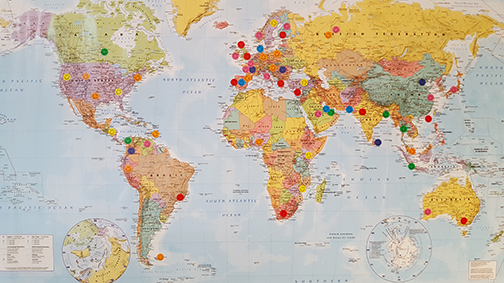 The stickers on the world map illustrate locations where workshop participants have done business. The aim of this event was to capture the entrepreneurial voice from lived experiences of ‘going international’ and to understand how entrepreneurs, intermediaries/support organisations and academics can create and share knowledge with potential to enhance sustainable success for SMEs in international markets. The mechanisms through which a firm becomes international are well known, yet research shows that many firms find that building confidence and capabilities can be as problematic as dealing with exchange rates, freight forwarding and export guarantees. From that starting point, the group enjoyed an afternoon of lively conversation and shared narratives, and collectively generated a series of issues on which to build an agenda for future engagement, research and collaboration. Participating were 13 entrepreneurs, four representatives from three intermediary/ support orgnisations, six academics and three doctoral researchers. The first set of issues emerging from the group conversations concerned enablers and barriers to internationalisation. Home country enablers were reported as: institutional factors such as government programmes, availability of financial support, services provided by private and public sector intermediaries or support organisations, and availability of knowledge. Company/ firm enablers mentioned included, having: product, technology, or firm expertise; financial and digital capabilities, capability to access and understand information on international markets, and having a wide network and established product and corporate reputation in the UK. International/ foreign country enablers,included having people in the right places such as culturally aware contacts (Chinese students was mentioned by one participant), access to the overseas networks of UK institutions, universal standards, internet and digitalisation beyond the home country (including understanding search engines), cultural awareness and experience, being aware of trends in international markets and industries, and interaction at international trade fairs. Barriers to internationalisation within the home country were reported as: risk averse boards, parochial organisational culture, shortage of experienced human resource, financial resources and managerial time, and lack of support for development of young and new companies. Conversations revealed a long list of barriers stemming from the international environment and the firms’ own difficulties in knowing how to overcome international institutional and cultural barriers. Factors mentioned included: regulations and regulatory compliance and bureaucracy: risks (including IP, currency, corruption and general uncertainty); knowledge on where to go for support and market intelligence; understanding the fit between the the firm’s capabilities and scale and scope of opportunity; and problems associated with logistics. It was pointed out that many enablers can also be barriers and a “double-edged sword” for internationalising firms. There was a general concensus that some of the biggest challenges stem from how we as human beings respond to internationalisation as a lived experience. One participant described the feeling as “being comfortable with being uncomfortable”.The group discussed this as being about learning to understand cultural differences and breaking cultural barriers as well as creating business relationships while feeling out of one’s comfort zone. Another participant expressed fustration that examples of internationalisation provided by supporting bodies are about the most successful firms whereas she felt it was important to understand the complexities of the process, the hard work that goes into it and the failures that firms experience along the way. An issue that came out strongly from conversations was that widespread negative reporting in the media about international business and political issues is creating a very difficult atmosphere for firms trying to engage in international business. 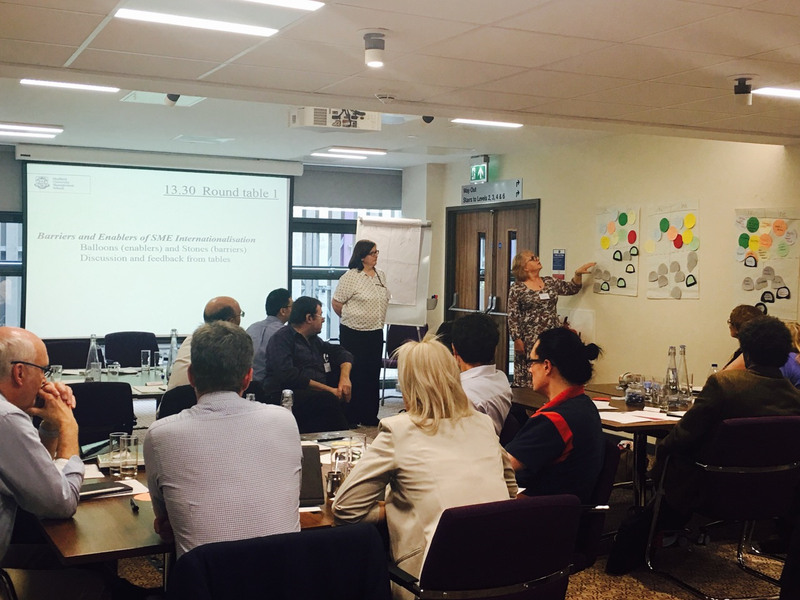 ABOVE: Balloons and stones – discussing the barriers and enablers of SME internationalisation. Extending the multicultural university experience to local business communities. The team would like to thank everyone who participated and aims to continue the conversation towards building a research agenda to better understand how confidence, capabilities and connections contribute to successful SME internationalisation. Thank you to the Sheffield University Management School Research Impact and Stimulation Fund for enabling this sandpit to take place. 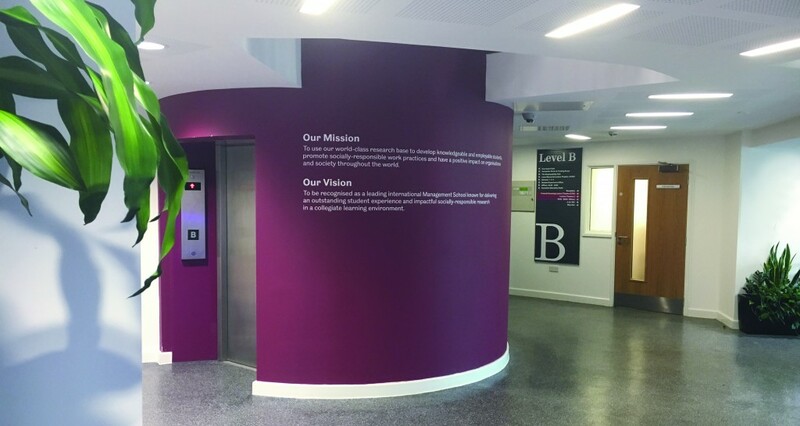 From an intensive focus on careers, to impact on organisations and commitment to the mission and vision, Sheffield University Management School has received standout feedback from accrediting body, the Association to Advance Collegiate Schools of Business (AACSB). 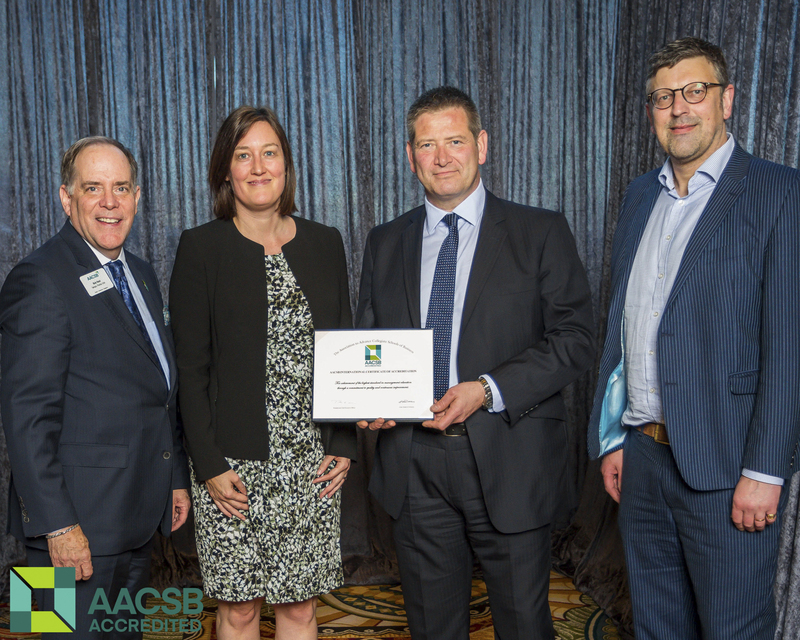 In April, the School announced that it has been awarded another five years of accreditation from AACSB, further to a visit from their peer review team comprising Deans from thee other international business schools. Amongst the formal feedback from AACSB are a number of strengths, innovations, features and practices which they have chosen to commend. The panel praises the School’s research, employability initiatives and its work with organisations, highlighting how these activities link back to a recognised mission and vision used by the Dean, Prof David Oglethorpe, to embed socially responsible and sustainable practices throughout. A research-driven environment which impacts on learning and teaching is core to the School, and the University as a whole. AACSB’s panel credited this approach, also noting that toolkits deriving from academic research projects had contributed positively to a variety of organisations, including the International Labour Organisation. This link with business was also recognised as excellent in the context of Futures First, the School’s student employability initiative which draws on expertise and knowledge from its advisory board members, whose high profile day jobs inform some of the content. Professor Oglethorpe said: “I’m so incredibly proud of the School, which has once again been granted the full five-year accreditation from AACSB. This is a wonderful result and testament to everything we have all worked very hard towards. A further five years of AACSB accreditation cements Sheffield’s position as having a top one per cent global business school. Click here to read our Mission and Vision.